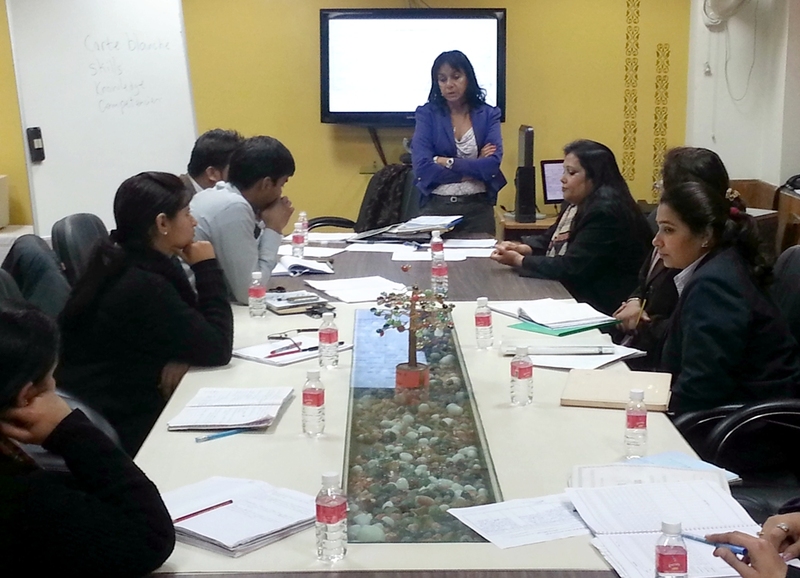 An interactive training session by Ms. Meena Woods, Inspector of schools in U.K. was held at The Indian Heights School, Dwarka on January 31st, 2013 in association with Edu Excellence. Teachers from Class I to X actively participated in the session. The session primarily aimed at identifying innovative lesson planning for addressing the curriculum of a school. Some of the lessons of Math’s /Science of various classes were taken to demonstrate the teaching methodology. Challenges faced by the teachers in class room environment and their solutions were also discussed.